Hello there lovely people, how are we all today? This post is going to be a little different from anything I have done before, and is something I have toyed with doing for a few weeks now. I think we all love getting incredibly thought through items, presents, and products, and if we can do that while supporting a small business then it means that much more. 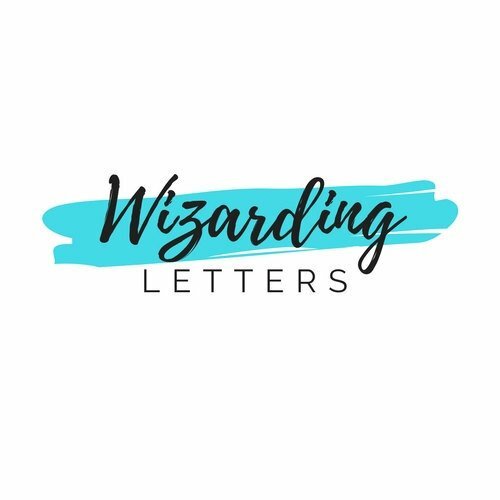 I wanted to share some of those businesses that I’ve discovered over the past few weeks and months, partly to bring them recognition, and partly to say a huge thank you!! So in the run up to Christmas, here are some shops I really like and think are awesome small businesses! Disclaimer: I have not been paid to write this, and have not received any free products/discounts in exchange for writing this post. These are my own thoughts and are based on my own experiences. Where do I begin with Lacuna? I discovered Becca and Sophie’s shop for the first time when they followed me on Twitter and Instagram. They weren’t even open yet, but they were building a base of people who may be interested in their stuff and I was one of those people. The announcements about candle scents began to drop, the packaging was revealed, and pretty much as soon as they opened, their candles were dropping on my door mat. I’ve ended up owning upwards of 30 of their candles. Considering they’ve only been open this year, it’s quite a few too amass, and d’you know what? There hasn’t been one I haven’t liked yet! They do a great mix of fandoms, and they have a great nose for what smells great together whilst maintaining a link with the thing it represents. They also create great bookish candles and are home to the Book Blogger scented candle, which smells of muffins and iced coffee and when it’s lit I genuinely think I blog better. Weird huh? Not only do they create a great range of candles, they also have different sizes and purchasing options. They have 1oz and 7oz jars, and 4oz tins that feature the different candles they create. They also do a monthly box (no subscription required, you buy the one you love the sound of, and can skip one if you don’t want to purchase it) which contains 4 themed characters and is both incredible and affordable. In every package there is a great care card, the advice really helps to make the candles last longer, and the bonus feature in every box is a small thank you by way of future discount code! The reason I love them so much: The care and precision that goes into everything they do. Their branding/labelling is beautiful and themed. Yes, this helps them sell, but it’s something that makes them stand out as a company of quality. They package everything well. Candles, especially jars, are not the easiest things to post (especially internationally) and it can often lead to bulky parcels and inelegant wrapping that takes away from the candles but Lacuna have some how got round this with bright and colourful packaging that is unique to them. I recently became a member of their Street team*, which means they sent a 4oz candle and a 1oz jar in September to test their new scents, and a lovely Christmas box in preparation for the festive season. It’s been an incredible experience so far, I’ve seen a little bit of the behind the scenes that influence how the box themes are created and realised just how lovely and hardworking the girls are. I still buy more candles from them than I should, as long as they keep putting out incredible scents (Castle Bound is my current favourite) I will be hooked. They also have expanded into web design, which is pretty awesome for those of us who are less accomplished in that arena. The work they’ve already done looks pretty awesome, and if their logos and label designs are anything to go by then this is a brilliant idea. I keep meaning to contact them about doing something for me, I really should get onto that actually…. *They had no idea I was writing this, the Street Team selection was made and the parcels sent entirely independently of writing this post and had no affect on the above review. I think all book lovers enjoy receiving bookish merchandise and themed gifts, right? I feel like bookish subscription boxes are at an all time high and that there is a lot of choice out there. While that’s great, and I myself have experience buying from some of the more well known ones out there, they lack the personal touch that Kate has managed to incorporate into her boxes. 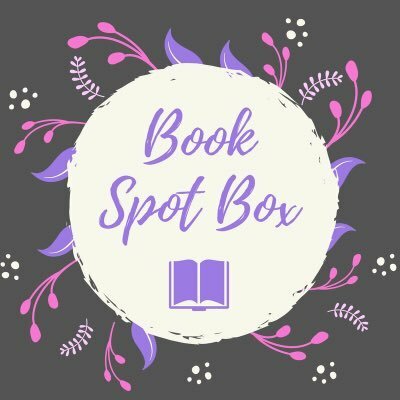 Book Spot Box is relatively new, I think we’re only on the 4th or 5th box, but I can already say with certainty that it’s one of my favourites. One thing I really like is that there is no subscription necessary. Sometimes I feel backed into signing into something I don’t want and need to remember to cancel to get single box, but with Book Spot Box, you can buy any boxes that sound like they’re up your street and skip the ones you don’t like the sound of. It also doesn’t always contain new releases. I kinda like this, I like giving love to authors whose book has been in the wild for a while, and I think it sometimes is nice to read something undiscovered. They’re not always backlist, sometimes she had themed new releases too, it’s a great mix and you get the feeling that you’re getting the best possible book, new or older!! The items themselves are also really great quality. She doesn’t include items to make up a box, but chooses and commissions items of better quality and thought. I like that the items are value for money, and even though there are sometimes less items in the box than others, I prefer it this way because what you’re getting is great. 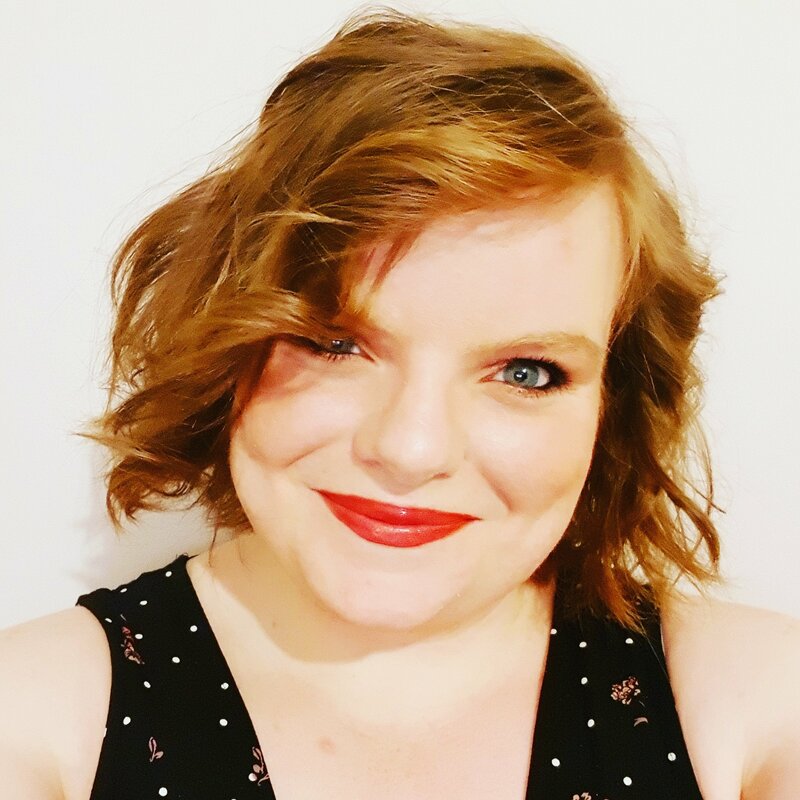 She works with great small businesses to commission exclusive candles and gorgeous book sleeves, and you can really feel that the whole thing is a Labour of love. The books and the items are also themed. This happens with most book boxes and is always a bit with customers, but it seems to go a little further with Book Spot Box. The packaging fits with the theme of the box, and the items reflect both the theme and the book itself. It’s pretty awesome!! The themes really vary as well, and fit with the seasons and upcoming holidays too! This is going to seem odd to say, but, this starts as a negative review. I had a slightly poor experience with a mishap in shipping where the correct amount hadn’t been paid, so I had to spend money to get the items I wanted from the post office. I left an honest review on Etsy, and the lovely owner Asma was quick to message back and apologise. I think it was a learning curve for us all. And so we get to the good bits. Asma was great, and lovely, and apologetic, and all the things you would want from a lovely shop owner, and she really restored my faith in ordering from someone I didn’t know too much about. Her various designs and dedication into producing brilliant prints and bookmarks is incredible, and actually this is what changed my mind on the whole thing. I bought a present for myself, because y’know, why not, and I also bought a small gift for a friend. I love Six of Crows but have actually found it difficult to find quality fandom merchandise and noticed she did lovely prints and bookmark designs. I have a gallery wall and the variety in colours and designs allowed me to choose something that fitted in both size and style with the look I was trying to achieve which was really important to me. The price was so reasonable, and the quality high, and I am really happy with how it looks. My friend Emma is also a lover of the book and was the one who introduced me to it, so I wanted to get her something small as part of her birthday present. The simplistic bold designs of the Ketterdam bookmark was too good to say no to and it quickly ended up in the package. If it wasn’t for Asma, and her honesty and creativity, I wouldn’t have had such a positive reaction from something that started quite so negatively. I’ve learnt to persevere when I am unhappy, and to leave constructive feedback that everyone can learn from, and that the best owners produce the best merchandise in the most honest and refreshing fashion. Psst, Disney fans, this one will most definitely interest you! 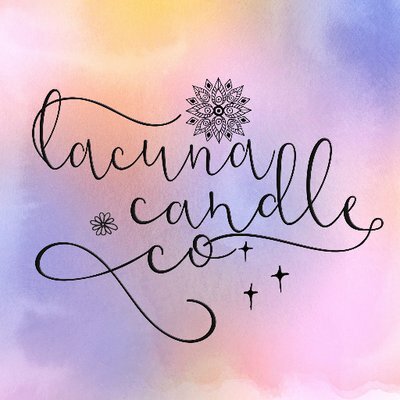 I think it’s clear from my review of Lacuna Candle Co above that I have a little bit of a thing for candles. I know I have a problem, but I quite frankly don’t care and just keep collecting and hoarding different scented candles. 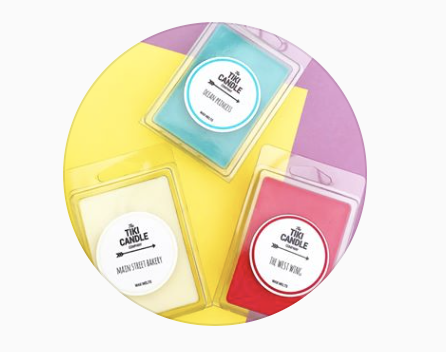 Tiki Candle Co is a small Disney themed candle business owned by Natalie, a self-confessed Disney nut who creates candles themed on all things Disney, from rides to characters, hotels to foods, and creates wonderful scents and bright labels for all her designs. I have a few of her candles and wax melts now because my friend knows I love Disney and they have made great gifts. I’ve bought some myself that have reminded me of past trips and have to say she has a knack for getting the scents of attractions and foods absolutely spot on. I bloody love coffee and bakeries, and she does a Coffee at the Castle and Main Street Bakery range, both of which smell amazing. The first smells of magical fresh sweet coffee and reminds me of sitting by the castle at Sleep Hollow with an iced coffee, and Main Street Bakery smells like you have just walked off Main Street USA and are staring at the amazing baked goods in person. Emma has treated me to some that reminded me of previous stays too. The Grand Floridian smelling candle literally smells like the lobby of the most recognisable Disney hotel, and Gaston smells of all things clean and woody and manly, let’s be honest, that’s the smell you would expect. The best candle yet though? Dead Man’s Cove! It smells of my favourite ride: Pirates of the Caribbean, which is amazing in itself as the smell of burning under water with gunpowder is so unique to the ride. You can feel her love and passion every time you smell one of the incredible candles. The labels and the packaging is always top notch, and the price of the candles that evoke such incredible memories is worth every penny. The candles are amazing, no matter what you like, but if you’re a Disney fan, you should, no, you NEED to visit her shop! I am quite sure there is a lot more small businesses I love and haven’t mentioned on here yet, but, these are the ones that immediately sprung to mind and have been my go to places when I have wanted a little gift or personal pick me up. There is something special about receiving something that is made with love and passion and is from someone that you are able to interact with and befriend. Each company is linked for you to have a look yourself, and please, if you have any small businesses you love, celebrate their work too, share their name because I’d love to discover more!